Hi guys, I'll be hosting a twitter chat today (Wednesday, June 17th) at 12pm EST talking all things summer beauty with AVON! I'd love for you to join. 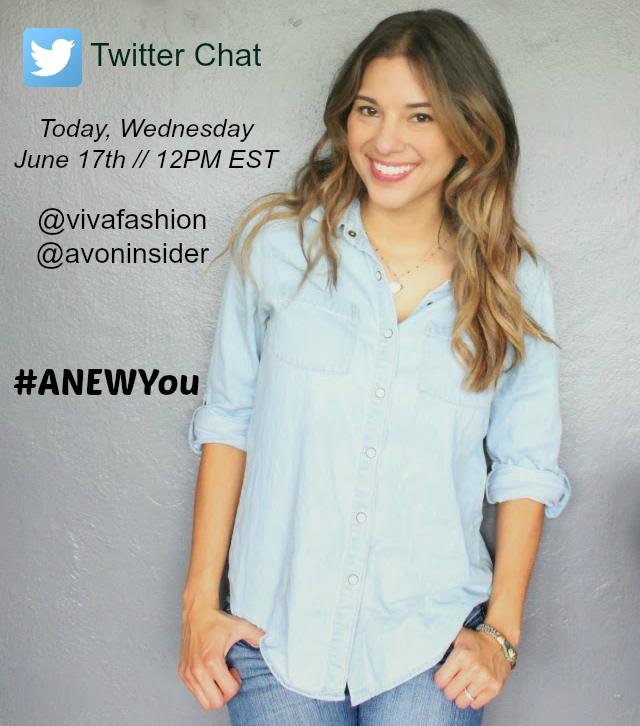 We will also be giving away 3 Avon ANEW Vitale Day Lotions, so be sure to follow along using #ANEWYou and following me @vivafashion.